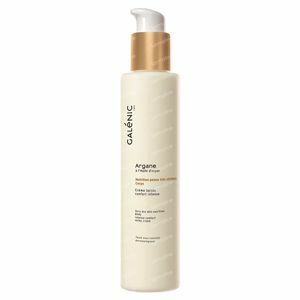 Galénic Argane Milk Cream Nutri Body 200 ml order online. Rich and fresh Intense Comfort Milky Body Cream transforms into a fluid milk upon contact with the skin to be absorbed immediately. It intensely nourishes your skin to leave it smooth and radiant. Apply all over body after showering or bathing. Its non-oily formula means you can get dressed immediately after applying.